Enlist the kids to help build a ruler-themed growth chart to commemorate their journey toward adulthood. They'll have a great time creating a wonderful family keepsake that you'll display for years to come. Many of the clichés of parenthood hold true, but this one does especially: Kids grow up so fast! Before you know it, they’re standing level with your shoulder. 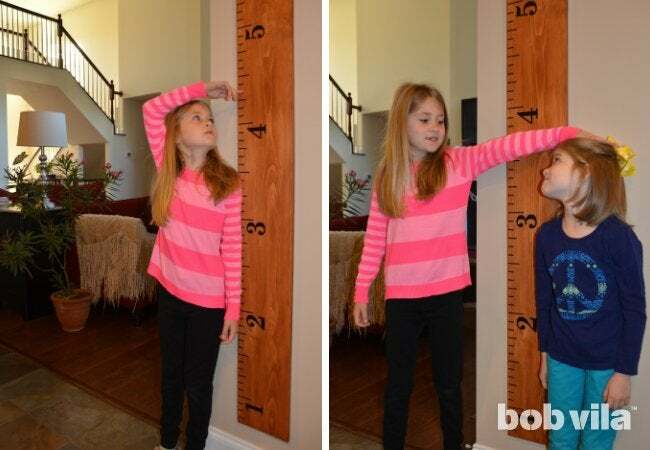 To help us truly measure the passage of time before it’s passed us by completely—and to allow us to remember a time when our girls were once actually that little—we created a growth chart in the form of a jumbo ruler. The beauty of this wall hanging? Should you ever have to move out of your house, you can carry those precious measurements with you rather than having to leave them behind on a doorway molding. 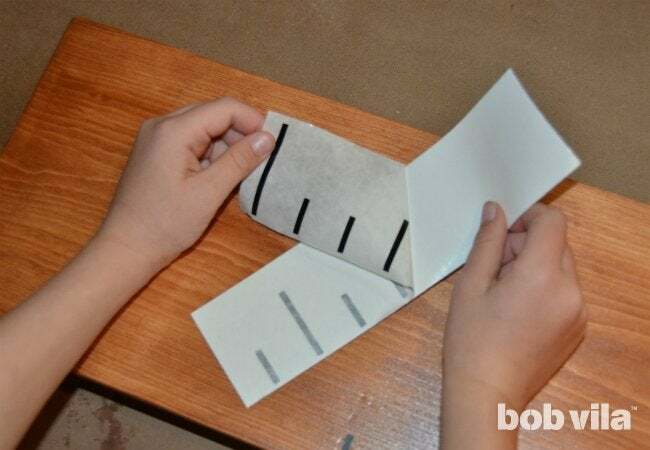 Read on to learn how to make your own ruler growth chart to cherish for years to come. 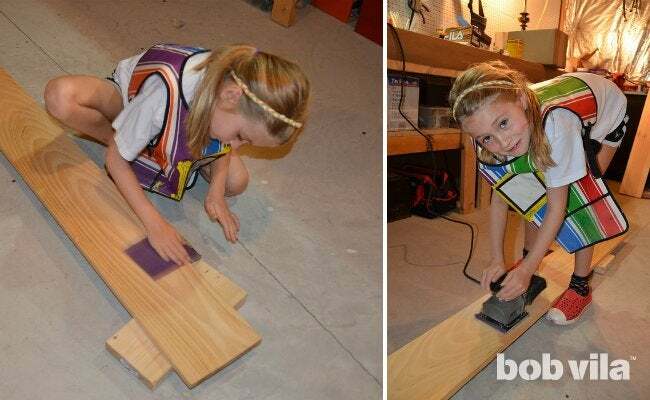 This is one of the easiest, most basic projects you can do with your kids, and it’s one they’ll get to enjoy seeing on a daily basis. 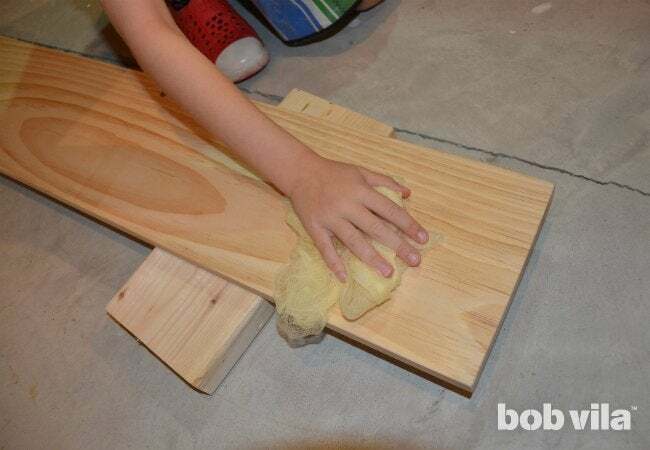 You don’t need any power tools at all for this project, but a palm sander will speed up the sanding process and give kids a wonderful introduction to power tools. The sander may be noisy and the vibration may tickle their hands, but the tool is unlikely to cause injury. Rest your 6-foot length of 1×8 lumber on two chunks of scrap wood so that it will be easier to work around the sides. Prep the piece for a nice finish by thoroughly sanding away all the chatter marks and scratches from milling and storage. 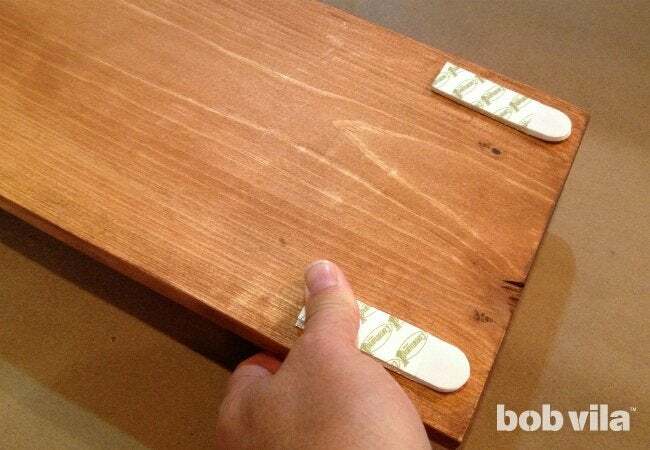 Go over the board once with a piece of 80-grit sandpaper, then work your way down to something finer, like 220-grit. You can make the job even easier by firing up a palm sander! Don’t forget to give all the edges a once-over, too, in order to dull their sharpness. 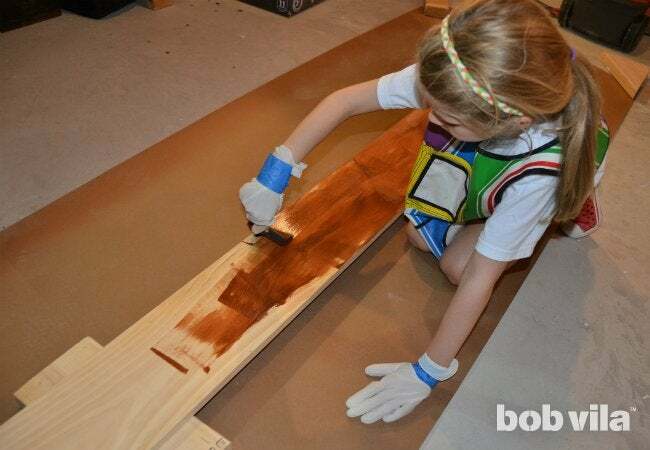 Once you have completely sanded the board and have a smooth surface, clean your work area thoroughly. Run a tack cloth (or a clean cloth that’s been dampened with mineral spirits) over the entire board to remove all the dust. Pull on a pair of latex or rubber gloves to protect your hands as you work. Because the gloves aren’t sized for the smaller hands of your little helpers, try wrapping a piece of painter’s tape around your child’s wrist to keep them on. We enhanced our pine lumber with stain, but you could just as easily apply a painted finish. If you choose to copy the natural look, brush the stain evenly onto your board in the direction of the grain, then allow it to sit for several minutes to penetrate the wood. Wipe off the excess with clean rags, and allow the stain to dry according to the directions on the can. Apply a second coat to get the most even coverage, allow it to dry once more, and then protect your new finish with a minimum of two coats of urethane. Wait at least 48 hours before numbering the edge of your jumbo ruler. You can paint the tick marks and numbers onto the ruler yourself, with or without a stencil, but we went an even easier route for a super-clean and professional result: premade decals. (You can order similar ones on Amazon!) If you’re using decals, don’t cheat the dry time. It’s important that your stain and urethane be thoroughly dry and cured, or else the decals will not stick properly. When your board is ready, measure out and lightly pencil in where each piece of the decal will go. (Another perk to these decals: Each 12-inch strip has tick marks that are accurately spaced an inch apart.) Flip the decal over so the numbers appear backwards and peel away the backing, then place the decal carefully in position on the board so that the numbers show through the paper reading the right way. When the decal is in the correct spot, rub something stiff like a wood block or credit card back and forth over the paper to help the decal thoroughly adhere. Gently peel off the paper, and voilà—you’ve got a jumbo ruler! Finally, flip the board over and attach an alligator hook—or, to keep walls free of nail holes, a handful of strong Command Strips—to the back for hanging. If you’re concerned that the ruler will get knocked off by rowdy children, you could even screw it straight into the wall with anchors. Do whatever feels right for your home and your family! After you’ve hung your hand-built keepsake on the wall, go ahead and draw in the first of many measurements to mark the momentous occasion.